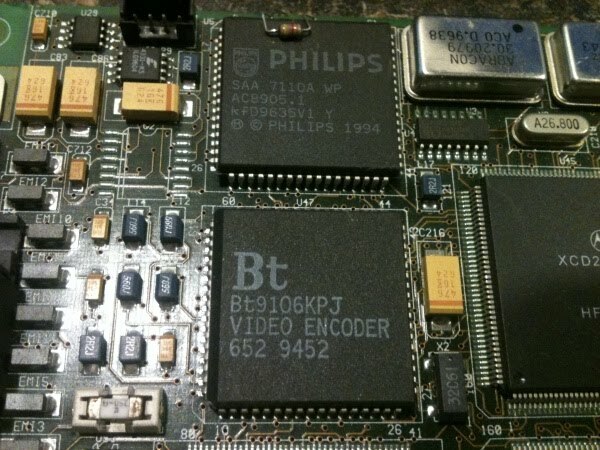 Early 2009 we posted some coverage on an obscure way to play CD-i on your PC. I said I've never seen a CD-i to PC card myself, as they were expensive and rare. 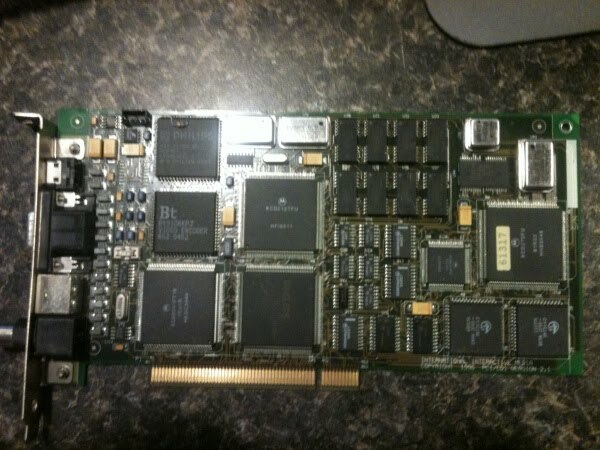 Suddenly, someone showed some pictures of it. 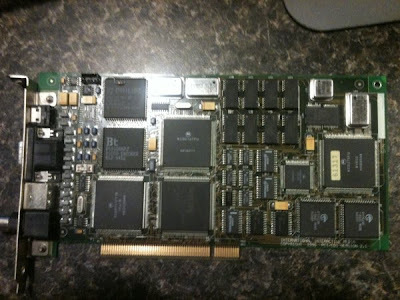 So here are a few rare close pictures of the i2m card. Read more here. 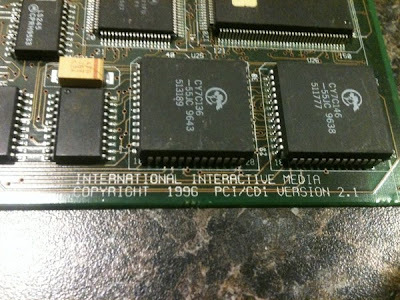 The UK CD-i Magazines are updated to the Comic Book Format and without any cut-offs we saw the last time. Issue 3 is now available here. What to do when your CD-i player won't spin discs? 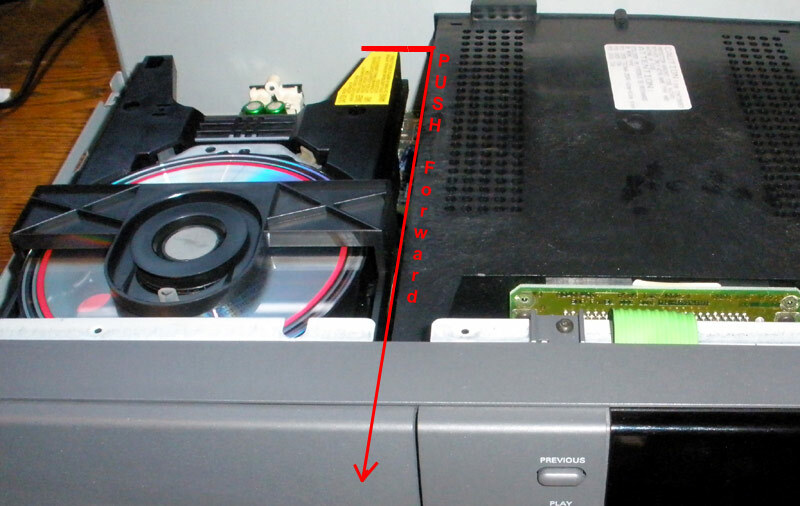 What to do when your CD-i player won't spin discs? First you have to turn off your CD-i and open the case of the CD-I by unscrew the screws on both sides (left and right side wall) and the screws on the back of the CD-I. Then open the case. 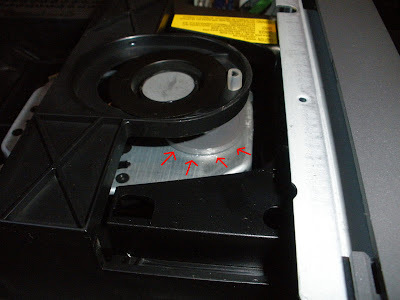 Next you open the CD-Drive by pushing the piece of plastic with the yellow sticker on it forward. 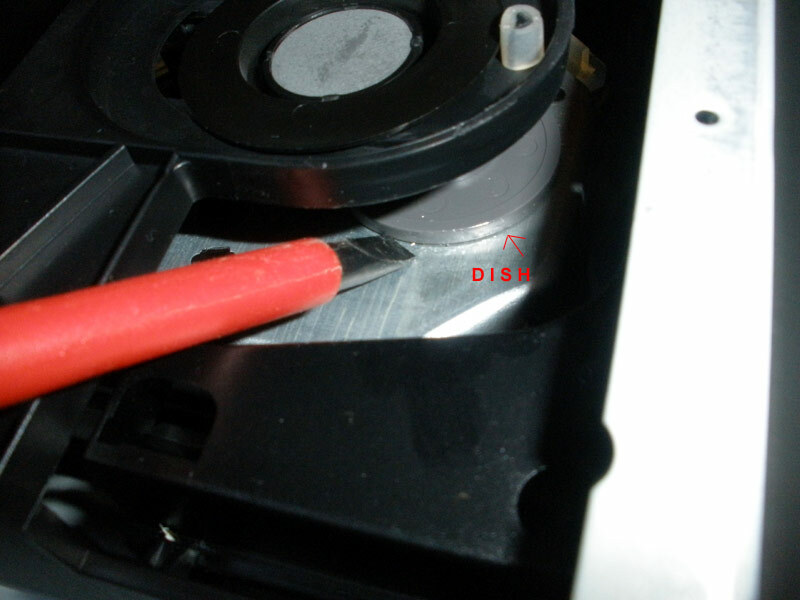 Open the CD-Drive if you haven't before to get to the dish. So, here you can see the dish which causes the problem and won't spin the disc. The red arrows point at the dish, so you can see it better. Try to spin the dish with your finger / hand and you maybe will see that it's maybe hard to spin. 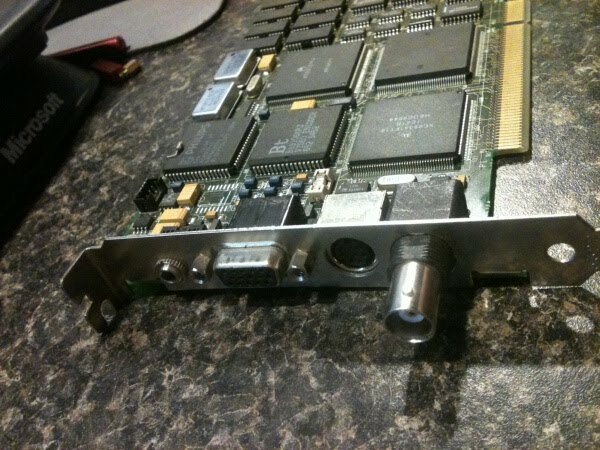 Now take 2 flat screw drivers. Put the first screw driver on the left side in position and the other on the opposite side of the dish. Then GENTLY push the screw drivers against each other = in the middle of the to screw driver now is the dish. You have to push the screw drivers against each (so to dish is between the screw drivers) other and while doing that you have to lift GENTLY the dish (don't be afraid that maybe the everything around/under will move too by lifting the dish everytime a little bit more). Everytime you think it's ok -> plug in the power cable (don't touch the open CD-i when it is turn on or the power cable is plugged in! -> Safety first ). So pay attention to the dish or if you insert a CD -> if the CD spins a little bit -> if the CD won't spin at the beginning after trying to lift the dish = don't give up! Maybe use next time a little bit more power for the lifting but GENTLY (but first don't forget to unplug the power cable before giving it a new try)! You could also do that by using one of the screw driver to hold against the dish so it won't spin / turn -> and the other to lift the one side of the dish little bit up, then turn the dish in one direction and lift again on a new position of the dish. DON'T let the screw driver go UNDER the dish! -> Maybe you are thinking that will accelerate the lifting process -> maybe you could damage the dish or the surrounded parts by doing that! It's not necessary! Take your time and try to lift the dish a little bit everytime and check out the result = if the dish will spin everytime a little bit more and more than you are on the right path! The whole process took me about 10 minutes to fix the problem with the dish . btw: ignore the ERROR Message (!) 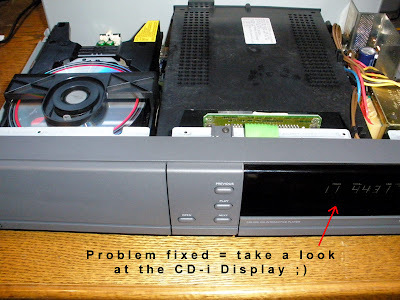 -> when the dish can spin more and more easy -> and it will spin without any interruption or stops when you have a Disc inserted -> than you have fixed the problem and the Display will show the Information about the CD -> Congratulations! I hope this small walkthrough could help somebody who has the same problem with the "My CD won't spin"-case and also want to save / rescue / resurrect his CD-i like i did by doing the above mentioned steps.